During the holidays, chocolate and peppermint sweets are abundantly popular because the cool flavor of peppermint combined with chocolate is hard to beat. A classic holiday combination of crushed candy canes blended with rich dark chocolate makes for a winning combination but if the candy canes happen to be organic and the chocolate happens to be made by Videri then you’re in for a very special treat. 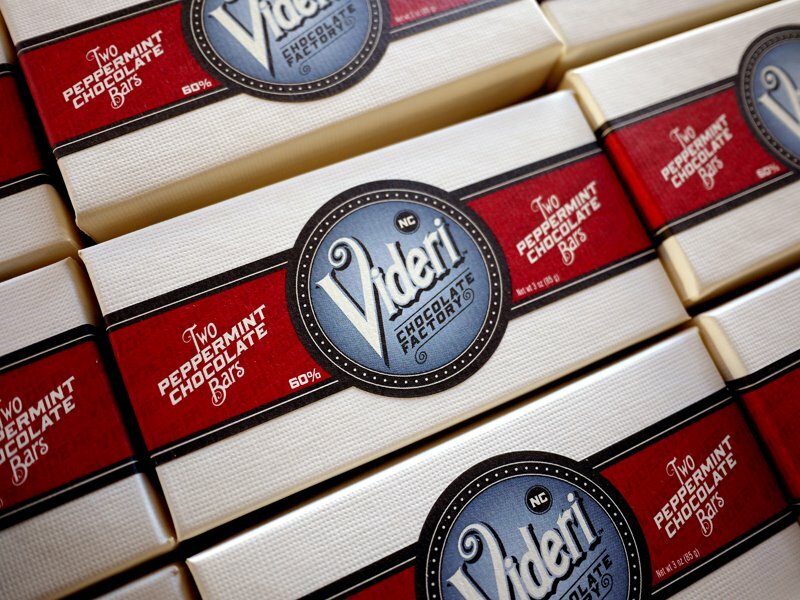 The Videri Chocolate Factory – a chocolate maker – who specializes in bean to bar chocolate creates one of the most delicious Peppermint Chocolate Bars using four ingredients: roasted organic cocoa nibs, organic cane sugar, organic cocoa butter, and organic candy canes to make their very special bars. The Peppermint Chocolate Bar is a seasonal favorite available during the holidays while supplies last. A fantastic gift or stocking stuffer for chocolate lovers, the 1.5 ounce bars come two to a box and are $9.99 through the chocolate maker’s website: www.viderichocolatefactory.com.